After a long wait, Kamal Haasan's Vishwaroopam 2 is hitting the screens tomorrow (August 10) amidst a good amount of expectations. The film will continue from where the first part left. 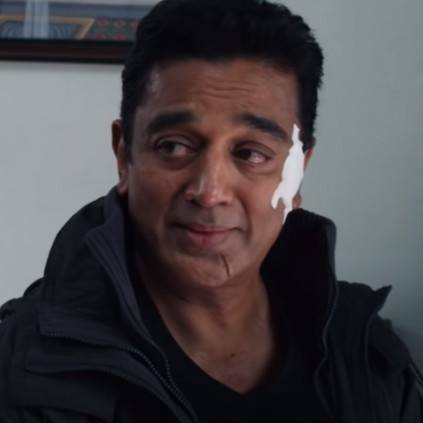 Now, the team has released the promo teaser of 'Naanaagiya Nadhimoolamae' song from the film featuring Kamal Haasan, Pooja Kumar, and Waheeda Rehman. This song is crooned by Kamal Haasan, Kaushiki Chakraborty, Master Karthik, and Suresh Iyer, with lyrics by Kamal Haasan and music by Ghibran. Kamal, Vishal, Vijay Sethupathi, Sathyaraj Pays Last Respect To Kalaignar Karunanidhi! People looking for online information on Kamal Haasan, Pooja Kumar, Vishwaroopam 2, Waheeda Rahman will find this news story useful.